Fresh bouts of dollar selling interest from local corporates and exporters along with growing expectations of more foreign fund inflows supported the rupee. The rupee hit an intra-day high of 63.62 towards the fag-end trade before winding up at 63.63. Mumbai: The rupee on Tuesday staged a strong comeback after a brief overnight slump to close higher at 63.63, a smart 17 paise gain as the US dollar's recovery against major rivals overseas was short-lived. Fresh bouts of dollar selling interest from local corporates and exporters along with growing expectations of more foreign fund inflows largely supported the recovery momentum, recouping most of its losses. The home currency had retreated from its 2-year high on Monday and lost 22 paise after four days of bull run. The domestic unit resumed on a firm note at 63.77 from Monday's close of 63.80 at the Interbank Foreign Exchange (forex) market on fresh dollar unwinding. Maintaining its buoyancy, the rupee hit an intra-day high of 63.62 towards the fag-end trade before winding up the trade at 63.63, showing a steep rise of 17 paise, or 0.27 per cent. Meanwhile, the RBI fixed the reference rate for the dollar at 63.7382 and for the euro at 75.2876. The greenback continued to trade on the back foot against its major peers amid doubts over third Fed rate hike this year and also some caution ahead of key data release this week. The rupee has a lot of positive factors supporting its outlook at this juncture and is likely to outperform in the near-term due to robust capital inflows as India is one of the fastest growing major economies in the world and strong commitment to structural reforms are making it easier to do business the country, a forex dealer said. 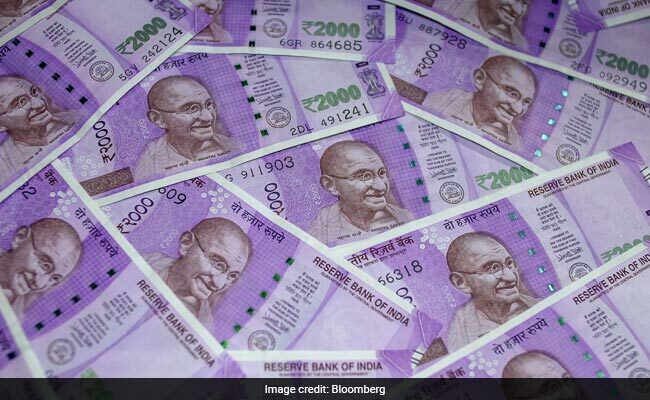 Country's foreign exchange reserves surged by $1.536 billion to touch a fresh life-time high of $392.867 billion during the week to July 28, helped by rise in foreign currency assets (FCAs), the RBI data showed. In the meantime, domestic bourses succumbed to massive selling pressure as investors' sentiment turned highly fragile after market regulator Sebi imposed trading restrictions on 162 listed entities identified as shell companies along with frantic profit-taking across-the-board. The dollar index, which measures the greenback's value against a basket of six major currencies, was down marginally to 93.15. In cross-currency trades, the rupee continued to surge against the pound sterling and settled at 82.88 from 83.25 per pound and also moved up further against the euro to finish at 75.16 from 75.25 earlier. It, however, drifted back against the Japanese yen to end at 57.68 per 100 yens from 57.57. In worldwide trade, the dollar traded lower for the second day as investors remained unconvinced that the Federal Reserve will hike rates again this year despite strong US jobs data outcome. The greenback had slumped to 15-month lows against its broad index DXY last week after weak data bolstered the view that, having already increased interest rates twice this year, the Fed would now stay put until next year. In forward market on Tuesday, premium for dollar dropped further due to continued receivings from exporters. The benchmark six-month premium payable in January declined to 135.25-137.25 from 137-139 paise and the far forward July 2018 contract also moved down to 268.25-270.25 paise from 271-273. On the International commodity front, crude prices traded weak ahead of the Opec and non-Opec producers meet conclusion in Abu Dhabi to discuss compliance with agreed output cuts. Brent crude was 0.4 per cent lower at $52.14 a barrel and US marker West Texas Intermediate was down by the same amount at $49.21 a barrel.